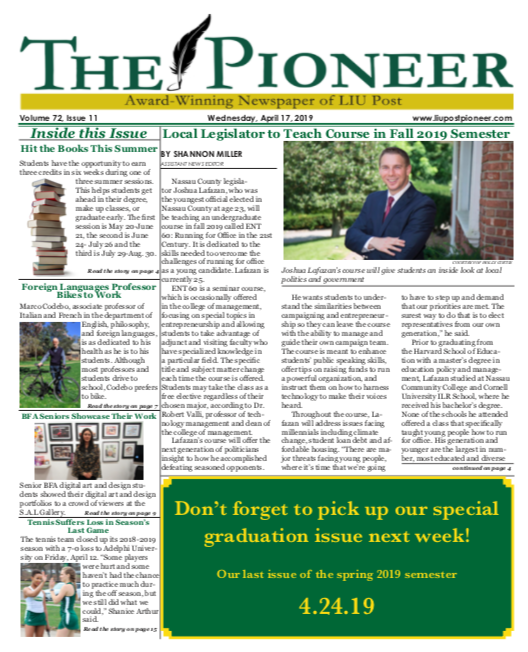 Editor’s Note: Karis Fuller is the Arts & Entertainment Editor for The Pioneer. Seniors Caitlin Johnstone, Tove Sparrman and Karis Fuller are getting ready to dive into their last laps in their college swimming careers. During her season in 2018, Johnstone, a health science major with a concentration in chemistry from Ashburton, New Zealand, came in first overall in the Metropolitan Championships in the 100-yard breaststroke on February 16, 2018.
a lap in the pool. Fuller, a sociology and journalism major from London, had a tough season last year after she separated her shoulder. 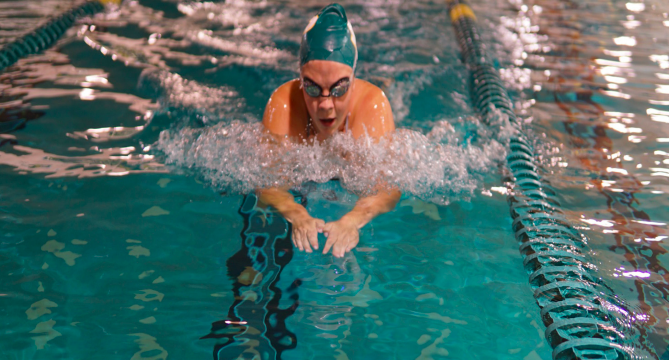 This kept her from achieving her goal to become an NCAA swimmer (a national champion). While injured last year, Fuller was not far off from achieving her goal; in the past two years the London native has been ranked in the top 10’s in the NCAA Division II Championship finals. Sparrman, an international business major from Upplands Väsby, Sweden placed third in the 200-yard individual medley at the 2018 Metropolitan Championships along with earning a few more accolades that day as well. Even though the green and gold swimmers have a full year ahead of them, they took some time to reminisce about their time here at Post. “I’ve had a long journey at Post. I came in as a distance swimmer, took down records freshman year, but it wasn’t until I got injured when I realized what I was good at,” Fuller said. Johnstone and Sparrman both recalled the moments where they bonded as a team. “I remember close duel meets where everyone is cheering and all the early mornings suffering through practice together,” Johnstone said. “Conference meets are always fun; I like that swimming is more of a team sport here at Post, while at home [Sweden] it’s not,” Sparrman said. The swim team is up for a new season. They will be hitting the water first at the Sacred Heart tri-meet on Saturday, Oct. 13 at 1 p.m., where they will face Sacred Heart University and Central Connecticut State University. Their first home meet is Saturday, Oct. 27 at 1 p.m. against East Stroudsburg University.